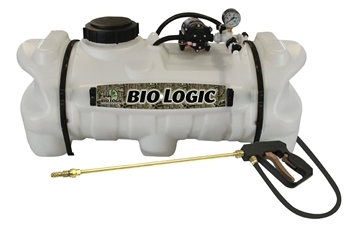 One gallon hand pump-up sprayer perfect for applying bleach and disinfectants. Heavyweight Sprayer built for farm duty work. Will outlast a typical house and garden sprayer on your farm's toughest jobs. 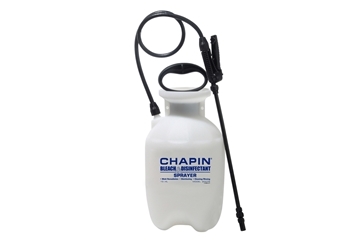 Biologic® Series 6500 ATV sprayer by Chapin®. 15 gallon capacity with a 12V power pump pushes up to 2.2 GPM. Mountable on your ATV, UTV or lawn tractor. 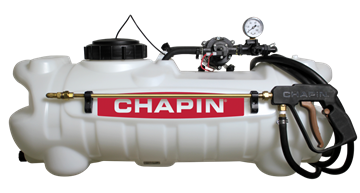 This EZ Mount ATV sprayer by Chapin® features a 15 gallon tank capacity with a 2.2 GPM pump. Includes an 19" professional dripless wand and 15' reinforced hose.